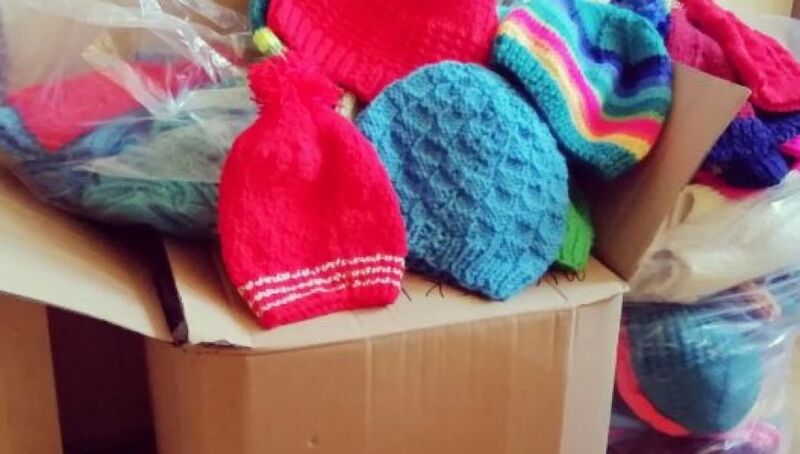 Months of heartfelt concern and dedicated work of the northern Polish city of Gdańsk’s elderly residents resulted in 300 hats knitted for the Syrian refugees in Lebanon. “One of us, an 88-year-old, did not know how to make hats so she knitted scarfs instead,” said Mrs Anna Miękin – one out of the seven charitable elderly ladies. She herself made 111 hats on her own. Mrs Miękin is an example of genuine selflessness. Regardless of being an elderly and handicapped person walking on crutches, she was dedicated to producing as many hats as possible. Thanks to Gdańsk city hall, which provided the ladies with yarn, some Syrian refugees will now be able to make it through the nearing harsh winter. The hats, and scarfs, colourful, striped, woolly and warm, were handed over to the Polish Centre for International Aid (PCPM) that will send them to Syrian refugees in Lebanon, which is also one of the key destinations of the NGO’s charitable help. According to the PCPM’s website, the foundation brings relief to Syrians starting from 2012. The organisation stresses that tackling threats brought each year by wintertime is very difficult as help for refugees is still scant. The NGO plans to revamp the refugees’ tents with wind-resistant heat retaining sheets. “Our task is to help the poorest people left to their own device… The coldest months of January and February is when Syrian refugees receive no help. Lack of funds for winter aid is their death sentence,” reads the PCPM website.